Osman Ghani is the well known fashion photographer and talented couture maker in London. The fashion brand of Osman Ghani is named as Osman Ghani Couture. His fashion label offers casual wear, formal wear, semi-formal wear, bridal wear, party wear. The main objective of Osman Ghani Couture to provide exclusively designed and elegant outfits for women. Every year, Osman Ghani Couture showcased its seasonal and occasional collections for women. Recently, Osman Ghani Couture has launched latest and exclusive formal wear collection 2013 for women. 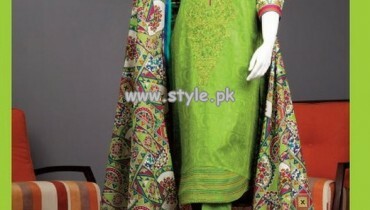 This formal wear collection 2013 is extremely beautiful and elegant. 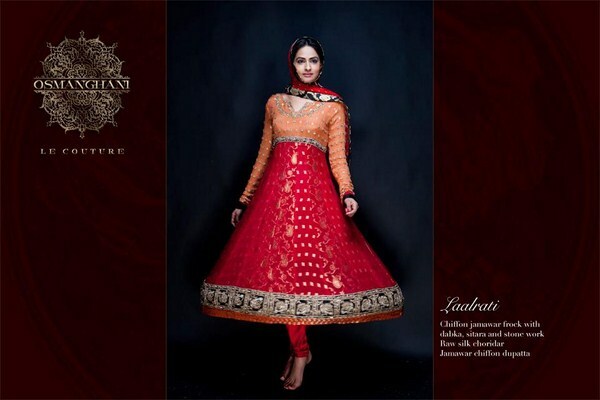 Osman Ghani Couture formal wear collection 2013 includes long shirts and lehengas. All formal dresses in this collection are extremely beautiful and fabulous. 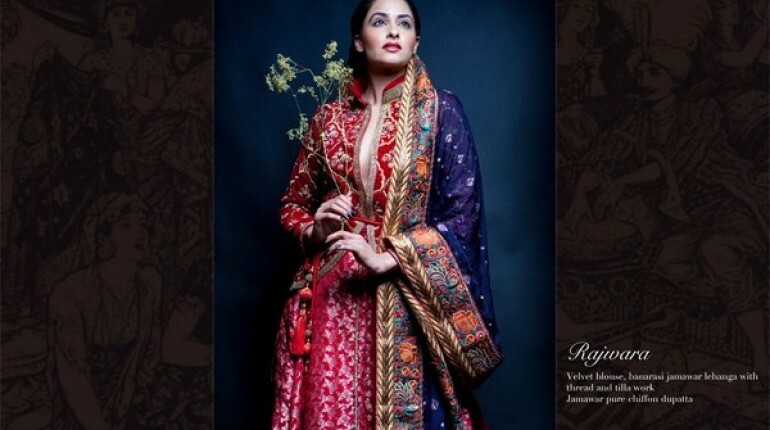 Let’s give a look at the latest and exclusive formal wear collection 2013 by Osman Ghani Couture. Moreover, all formal dresses are adorned with different types of fancy work such as tilla work, thread embroidery work, gota work. In this post, we are presenting just few pictures of Osman Ghani Couture formal wear collection 2013 for women. Women can wear these beautiful dresses on their wedding functions and special parties. In this formal wear collection 2013, Osman Ghani Couture used different fabric materials such as chiffon, silk and jammawar. If we talk about colors then beautiful and bright colors have been used in all formal dresses such as white, purple, maroon, red. These colors make this formal wear collection more attractive and traditional. So if any woman wants to attend different parties and wedding functions in next few weeks then she should buy Osman Ghani Couture dresses. In short, these formal dresses are the fusion of bright colors, fancy work etc. Just give a look at the few pictures of Osman Ghani Couture formal dresses which are given below and you will surely say wao……..